Welcome dear English speakers ! The Association « Des Ailes et Des Hommes » that can be translated by « Wings and Humans » has been created in July 2008. This great adventure started with a bunch of friends who were passionate about paragliding. Thanks to this passion they have a wonderful view from the world and benefit from gorgeous landscapes that are seen from the sky. Once landed, those people are dedicated to help locals. Their main objectives are scholarship and health, indeed they provide pencils, tables for schools, many surgery equipments and food. 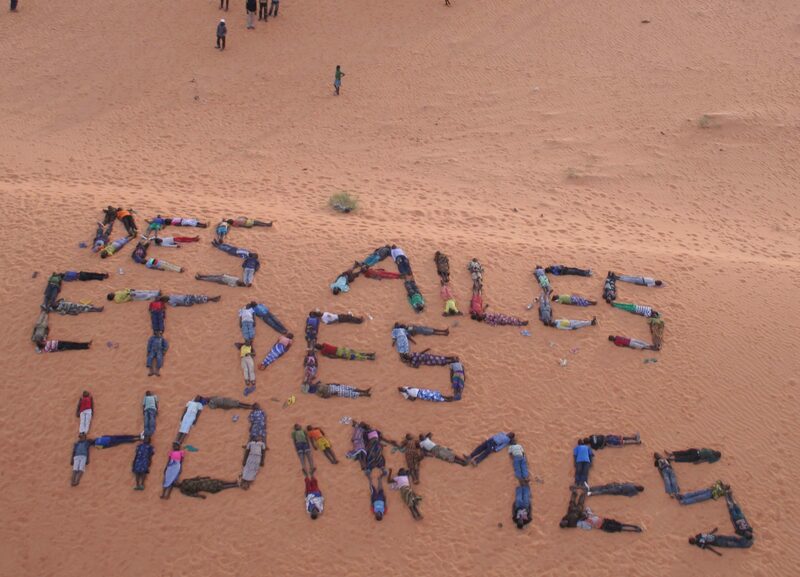 They travel once a year and during the trip they meet many interesting people that are sharing their values and are willing to help « Des Ailes et Des Hommes » to achieve their goals. All donations are exclusively spent for locals. In order to expand and become more powerful around the world, the association needs your support. That’s why « Des Ailes et Des Hommes » organizes many events, such as calendar sales, your own home-picture from the sky sale and special events for town halls.